Almost exactly 1 year ago, I returned from RIVERCamp, went into work and handed my notice in, absolutely certain that God had spoken to me about starting a prayer movement in Chelmsford called Chelmsford 24-7. After some weeks of exploring what that might mean and putting a few “feelers out”, I received a message from Sue Gibson who then ran the Chelmsford Prayer Network, that was formed out of the Olympics. She felt God was ready to do a new thing here in the City and spoke about “joining the dots” between churches and Christians living and working here. It was all about greater unity and love for one another. 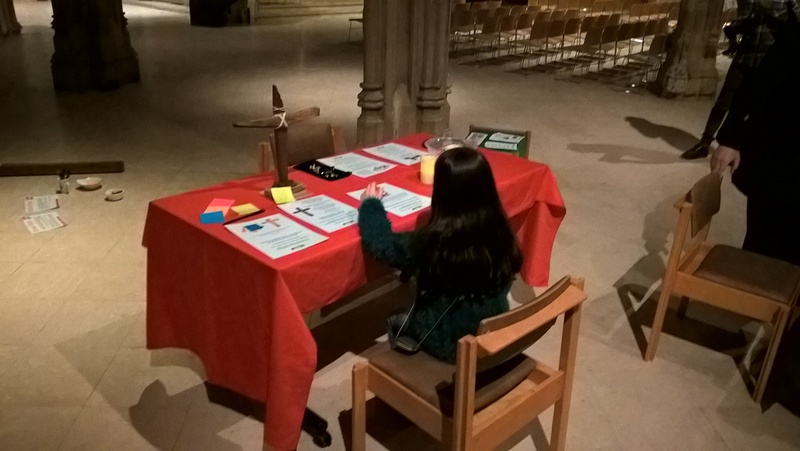 Then early this year, “out of the blue”, Andy Griffiths, vicar at St Michael’s, Galleywood phoned me and as we met for the very first time an ambitious plan was hatched for a Week of Prayer over our City. I then met with Peter Balls, pastor of Chelmsford Community Church, a long time friend and very much a “father of prayer” over the City and I told him of the plans for Chelmsford 24-7. I remember well the many meetings I attended in the Cathedral and Shire Hall over 30 years ago which he organised, where many prayed fervently for our then Town. I also sat down with Mike Shelbourne, a Methodist lay preacher and organiser of current Christian meetings that are led and guided by the Holy Spirit in our City and we both excitedly spoke of what God might have for us here in Chelmsford. During and since that time many “dots have been joined”, conversations had and connections made with people from many, many local churches and Christian leaders and the process of catalyzing The Church in this City towards greater unity and love through prayer continues apace. This year, I returned to RIVERCamp wondering what God might further say? Would there be a revelation or further steer for our future direction? Well, I think God simply confirmed that which He said last year. He said, keep pressing forward, you are doing just fine! He wants to banish past “disappointment” from The Church in our City, for all those things that haven’t yet happened. Instead He wants us to have a very great expectation for what He is about to do. The enemy satan tries to steal and destroy our enthusiasm and the appointments God sets up for us. Disappointment removes expectation. Jesus is coming back soon and we need to rise up again and shine. We can no longer afford to be “Sunday only” Christians. Jesus is the only true answer to peoples needs and we must leave our buildings and demonstrate His love and His Kingdom to them. Too many of us live our lives very much the same as our un-saved neighbours. God wants us to realise that He answers our prayers in seed form, that greatness comes out of smallness. Be faithful, joyful, thankful, knowing that He has heard and is answering and growth cannot fail to come. God only wants to multiply. He is the God of multiplication. Seeds you sowed years ago for Chelmsford are not dead, but are now ready to produce a harvest. Chelmsford 24-7 emerged from a very small seed and is growing fast, but it was birthed in me out of a passion for the things of God for this City that started many, many years ago. It thing is growing for the City, not for me. That seed needed much FAITH to cause it to grow and flourish, believe you me! I could easily have shaken myself and followed the world’s pattern and rejected and ignored God’s call for me and today there would be nothing. 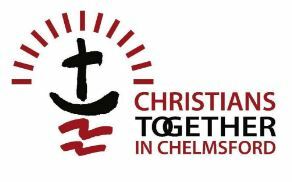 Last week God re-emphasised that Unity and Love between the Churches and Christian believers of Chelmsford is paramount. The things that unite are more important than the things that are different. Differences in tradition and doctrine must fall into the shadow of the Cross of Jesus and be healed. Without His Church demonstrating unconditional love for each other, how will the people of our City recognise that we are truly disciples of Jesus and be drawn to follow Him too? The unifying factor in all must be Jesus Christ and Him crucified, everything else pales. God, who is Love transcends legalism and religious history. Grace, not Law must abound. It’s time to pray like never before. God has chosen to work His plan out through us. We are Gate Keepers of our City. That healing is coming. The Glory of God is about to fall upon on the UK. 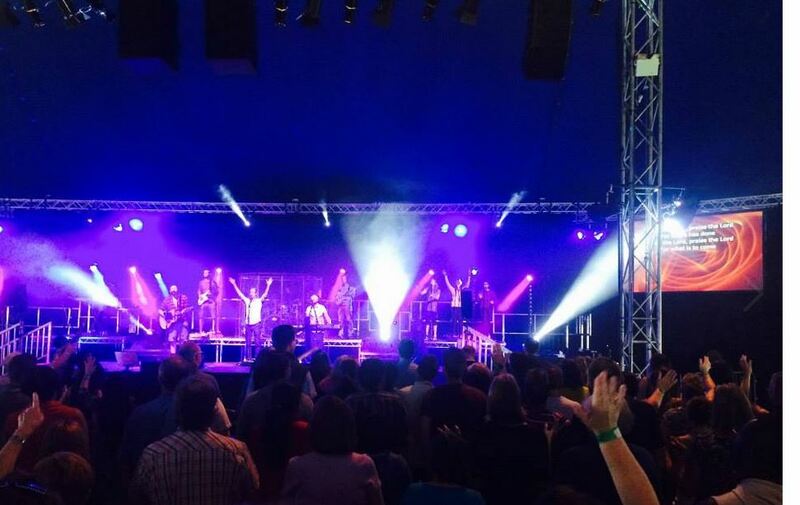 I believe God has chosen Chelmsford as a special place for that Glory. The door is open. will we step through and partner with Him? He wants this to be a great City, one set aside for His purposes and a bright light to the Nation. A City on a hill. You are called, but will you rise and step into what He has prepared? Bless you all, for all your support, prayers and enthusiasm. But don’t just watch this space for what God has next, walk into the space with Him. Last month I wrote an article and issued a challenge to get involved with Church @ Car Boot Sale at the Boreham Interchange. This is an amazing ministry where each Sunday throughout the boot sale season a rotating team of Christian volunteers from several of our churches get out of their buildings, serve great drinks and chat about the gospel of Jesus Christ to a potential 2000 or more “congregation” who attend each week, between 7am and midday. Also, 50% of their takings go to a great charitable cause! I have now become a volunteer and was greatly encouraged that no less than 5 others turned up on 16 August to take a look. I since heard of a 6th person who went along subsequently as a result of the request to get involved. Although the boot sale season is drawing to a close, Chelmsford 24-7 has started to work with the team with a view to having a “Holy Space”, a prayer tent alongside next season. Exciting things are ahead. 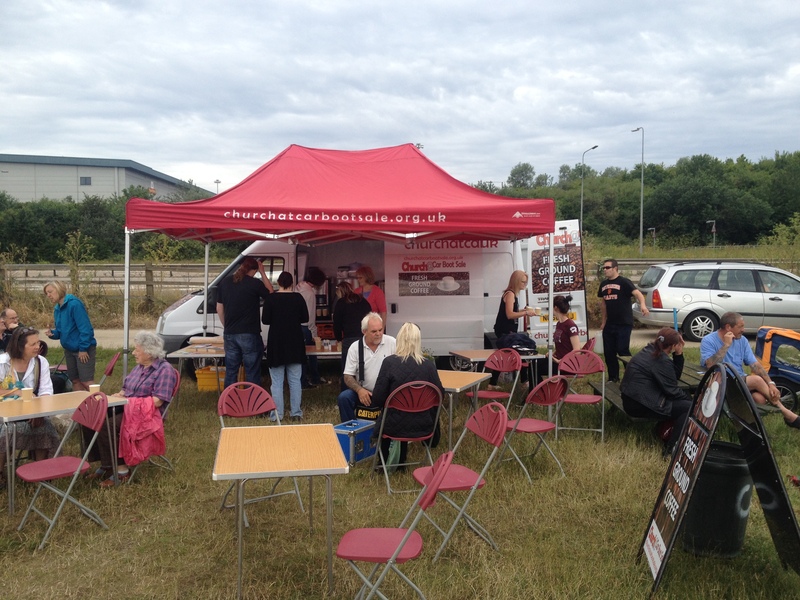 I am again at the boot sale all morning on Sunday 13 September – would you come and join me for a “taster”?